In that era of Old Testament history known as the divided kingdom, the greatest ruler was Hezekiah of Judah. “He trusted in Jehovah, the God of Israel; so that after him was none like him among all the kings of Judah, nor among them that were before him” (2 Kgs. 18:5). While Hezekiah was reigning as king in Judah, Shalmaneser, king of Assyria, invaded the northern kingdom of Israel. After a siege of three years (724-722 B.C. ), the capital city of Samaria was taken. The Assyrian annals claimed that 27,290 prisoners were captured (Journal of Cuneiform Studies 1958, 33-40). Two decades later (701 B.C. ), another Assyrian monarch, Sennacherib, marched against the southern kingdom. The Bible declares that he came against “the fortified cities of Judah, and took them” (2 Kings 18:13). Assyrian records affirm that he conquered forty-six Hebrew cities and took over two hundred thousand captives, along with much spoil (Luckenbill 1924, section 240). Hezekiah, at the capital city of Jerusalem, was terrified by the invasion. Accordingly, he offered tribute (i.e., a bribe) to the Assyrian king. Sennacherib assessed a tax of nearly two million dollars in today’s money. Hezekiah was forced to strip the temple and the palace of all their treasures in order to pay the bounty (2 Kgs. 18:16). Encouraged by Hezekiah’s apparent weakness, Sennacherib sent a great army to Jerusalem. Through his military officials, he made a series of threats designed to bully the Hebrew king to surrender. Here were his arguments. First, do not expect to look to Egypt for help. The king of Egypt — a bruised reed — won’t be able to assist you. Second, if Israel would surrender, they would be treated kindly. But that was an obvious ploy in view of the Assyrians’ well-known brutality! To buttress his case, Sennacherib reminded the king of Israel that other nations had already fallen to Assyria and their gods had been impotent to save them. 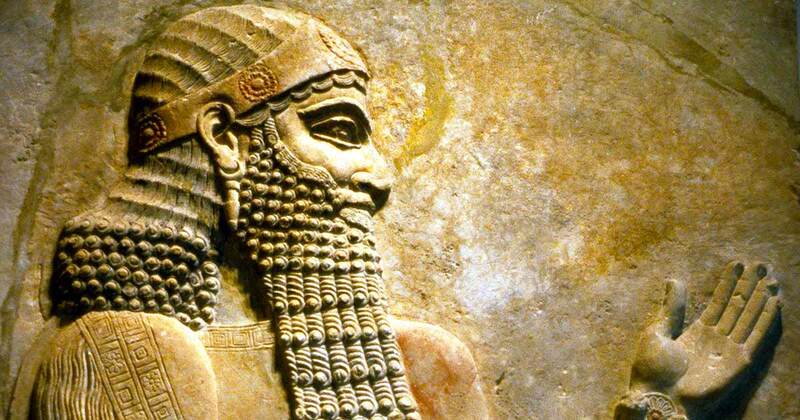 Confusing the God of Israel to just another pagan idol, the arrogant Assyrian launched a final closing argument. Since Judah’s high places (i.e., places of idolatrous worship) had been destroyed by Hezekiah, Sennacherib mistakenly argued that Jehovah would be powerless to deliver the remnant of Judah. It is thus a foolish venture to trust him to save Jerusalem. What a tremendous blunder this final challenge was! Hezekiah humbled himself before the Lord and sought the intercession of the prophet Isaiah (2 Kgs. 19:1ff). “Behold, I will put a spirit in him, and he shall hear tidings, and shall return to his own land; and I will cause him to fall by the sword in his own land” (2 Kgs. 19:7). Mark this divine prediction. Within two decades it was amazingly fulfilled. The Assyrians, however, challenged again: “Let not your God in whom you trust deceive you, saying, Jerusalem shall not be given into the hand of the king of Assyria” (2 Kgs. 19:10). Once more, the examples of history were cited as proof of Assyria’s invincible power. Presently, Isaiah informed the king that his prayer had been heard (cf. Jas. 5:16b). The Lord had a return message — first for Sennacherib, then for Hezekiah. The challenge of the Assyrian was actually laughable. The fact of the matter was, it was God himself who had used this heathen monarch as an instrument of divine wrath to punish rebellious Israel, as indeed the prophet Isaiah had vividly prophesied about a third of a century earlier (cf. 2 Kgs. 19:25-28; Isa. 10:1ff). Next, directing his attention to King Hezekiah, God, with comforting words, pledged that the Assyrians would not conquer the city of Jerusalem. In spite of the fact that this foreign host was much the superior in military might, Jehovah would protect his people. God declared that he would defend the city, along with the remnant of the house of David, “for my servant David’s sake” (cf. 2 Kgs. 19:30, 34). This was doubtless an allusion to the Messianic promise through David. “And it came to pass that night, that the angel of Jehovah went forth, and smote in the camp of the Assyrians a hundred fourscore and five thousand: and when men arose early in the morning, behold, these were all dead bodies” (2 Kgs. 19:35; cf. Isa. 37:36ff). What an awesome scene that must have been as the gray light of dawn made its way among the smoldering campfires and silent tents of the Assyrian army. Lord Byron has beautifully captured the essence of this dramatic event in his poem, “The Destruction of Sennacherib” [though Sennacherib did not die in the slaughter that night]. That host in the morrow lay withered and strown. There are several interesting points about this narrative that warrant further consideration. The Hebrew term Malac (“angel”) might better be rendered here as “messenger.” A consideration of all the Old Testament information concerning this person leads to the conclusion that he is to be identified with the pre-incarnate Logos, the Christ of the New Testament (cf. Jn. 1:1, 14). For example, note that Jacob wrestled with a being that had assumed the form of a man (Gen. 32:24). Yet, he was clearly deity (Gen. 32:28, 30). Later, an inspired prophet, commenting upon this incident, called this person “the angel” (messenger), even “Jehovah, the God of hosts” (Hos. 12:3-5; cf. Isa. 44:6; Rev. 1:17). Here is a lesson we can learn from this. Christ is not only a loving savior, but he is also a demanding judge (cf. Rev. 19:11ff). Second, though the critics have scoffed at this Old Testament narrative, there is other historical evidence that corroborates it. For example, Herodotus, the ancient Greek historian, records what is probably an Egyptian legend that grew out of this historical event. He suggests that Sennacherib’s fighting force was greatly reduced when in one night, a plague of field mice gnawed the quivers, bowstrings, and shield-straps of his soldiers, thus making them suddenly vulnerable to their enemies (cf. Edersheim 1995, 933). Now when Sennacherib was returning from his Egyptian war to Jerusalem, he found his army under Rabshakeh his general in danger [by a plague], for God had sent a pestilential distemper upon his army; and on the very night of the siege, a hundred fourscore and five thousand, with their captains and generals, were destroyed (Antiquities of the Jews 10.1.5). And yet, amazingly, there is not the remotest reference that the Assyrian king took Jerusalem! Why not? Those Eastern rulers were always careful to document their victories and to boast of them. Their defeats were simply ignored in the records. Sennacherib’s silence is quite eloquent. “Sennacherib during his later years made no expedition further westward than Cilicia; nor were the Assyrian designs against Southern Syria and Egypt resumed till toward the close of the reign of Esarhaddon” (1873, 145). Finally, we are informed that after the destruction of a major portion of his army, Sennacherib returned to Nineveh in Assyria. Some twenty years later, as he was worshipping in the temple of his pagan god, two of his own sons killed him with the sword (cf. Isa. 37:38). The prophet’s earlier warning fulfilled to the very letter (cf. 2 Kgs. 19:7). Sennacherib learned that it does not pay to challenge Jehovah. Let us remember that these accounts are written for our learning (Rom. 15:4; 1 Cor. 10:6, 11). Edersheim, Alfred. 1995. Bible History – Old Testament. Peabody, MA: Hendrickson. Journal of Cuneiform Studies. 1958. Vol. 12. Nol. 1. Luckenbill, D. D. 1924. Ancient Records of Assyria and Babylonia. Vol. 2. Chicago, IL: University of Chicago. Rawlinson, George. 1873. Historical Illustrations of the Old Testament. n.p.